Singer-songstress & instrumentalist from Durham, NC. She has performed, recorded and collaborated with various local and nationally-recognized artists, including Vinx, Shana Tucker, Anna Wise, Supatight and Eric Hirsh. 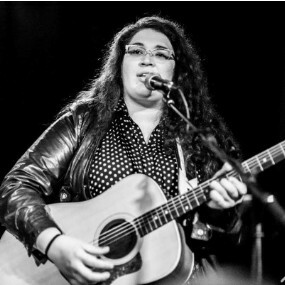 She is the newest member of Dark Water Rising, a Pembroke based "rocky soul" band fronted by American Idol semi-finalist Charly Lowry. Emily currently fronts the Emily Musolino Band and regularly performs as both bandleader and soloist around the country.